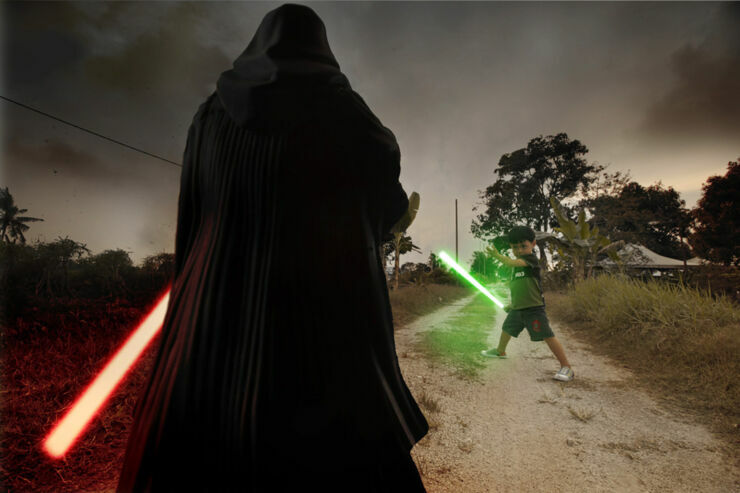 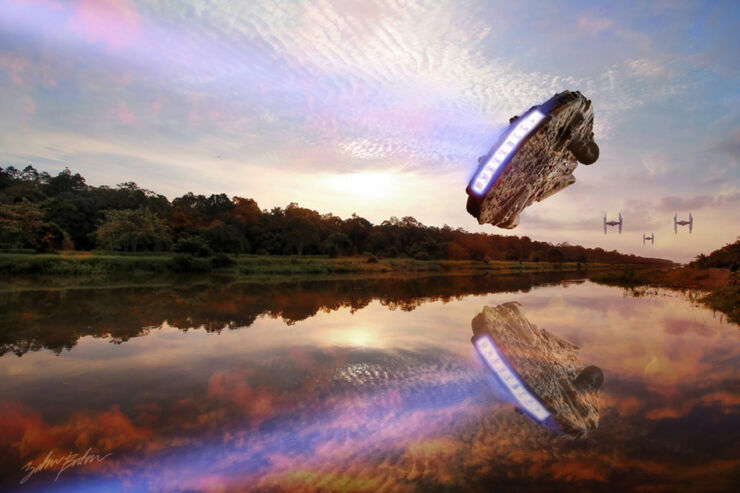 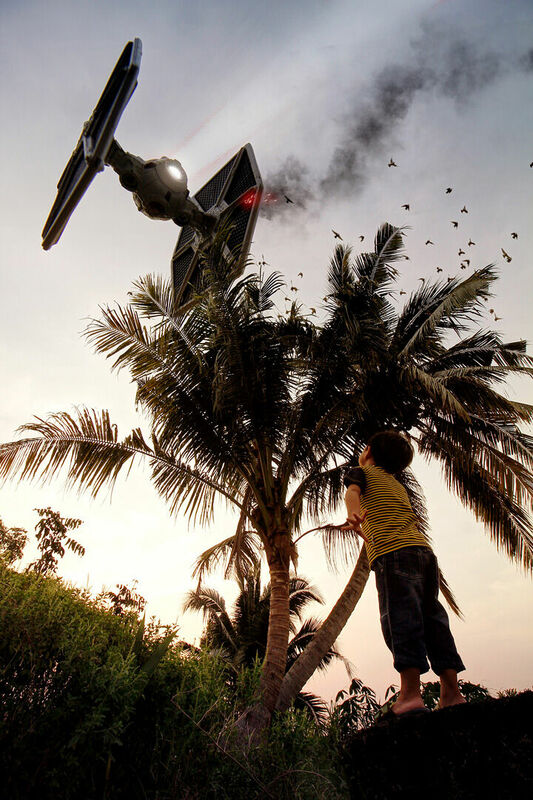 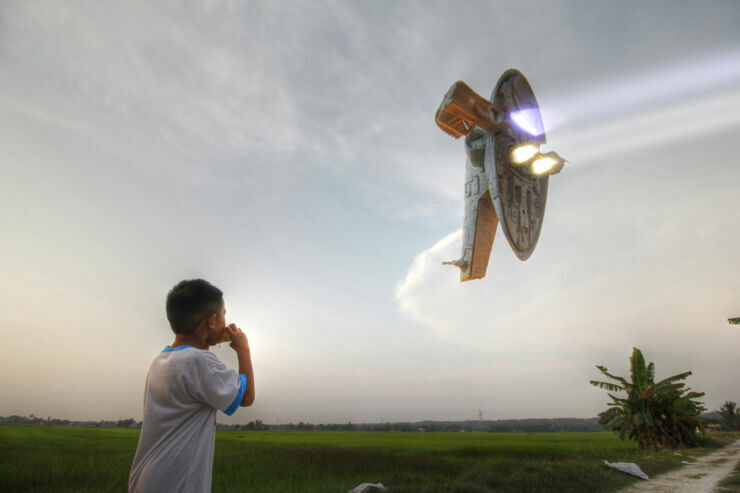 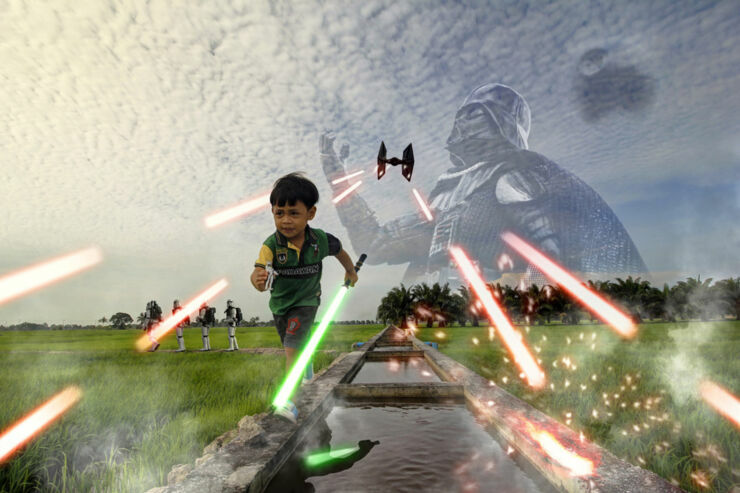 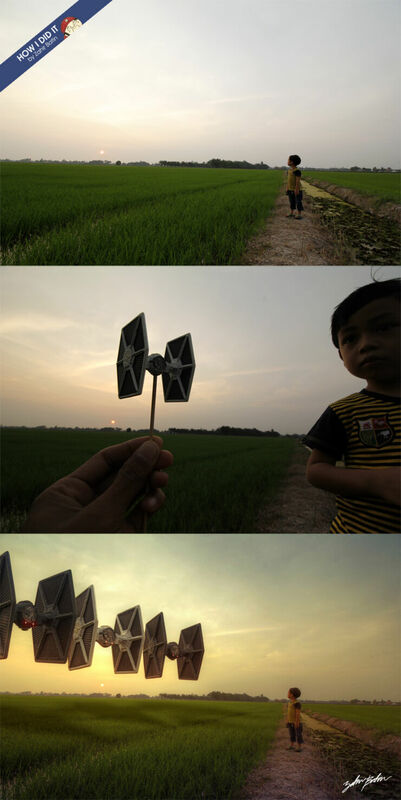 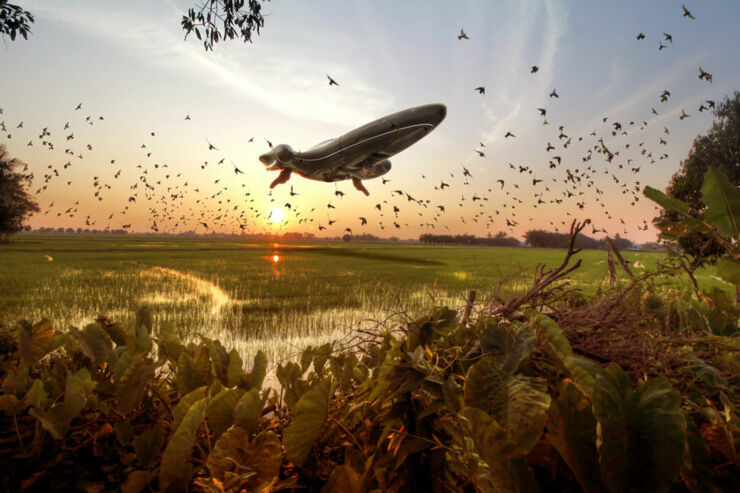 The serene and beautiful scenery of the Malaysian countryside suddenly gets invaded by these amazing Star Wars pictures. 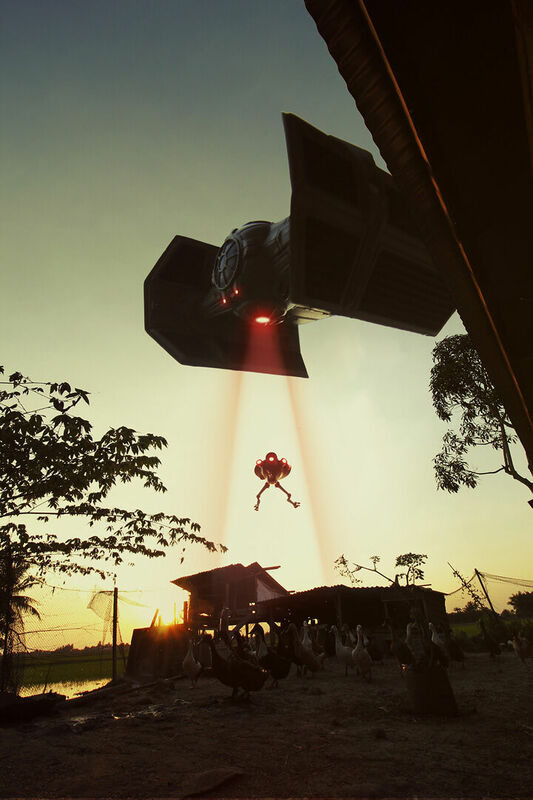 It's definitely not the kind of place you would expect to get up close and personal with the legendary icons that belong in a galaxy far, far away. 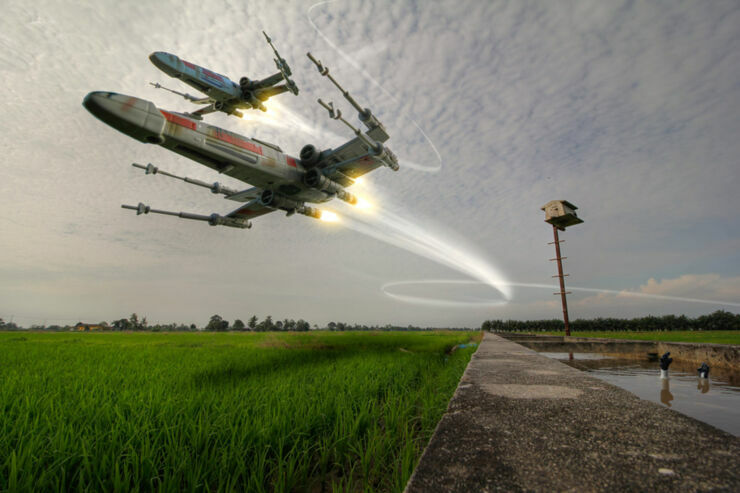 But it looks like the battleground has shifted to planet Earth. 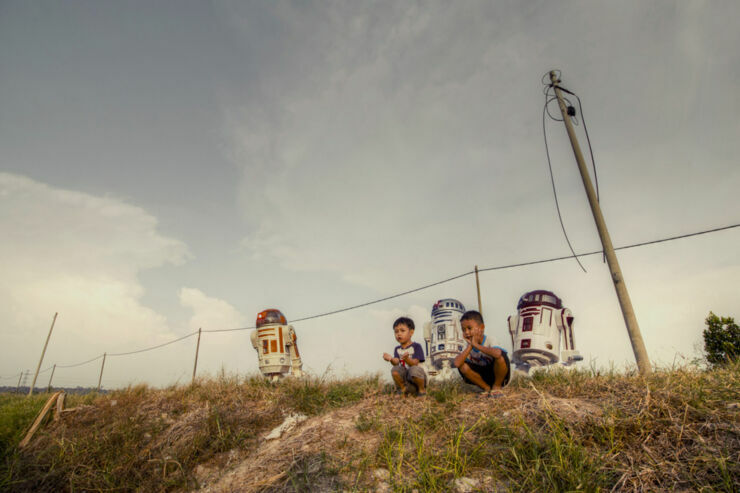 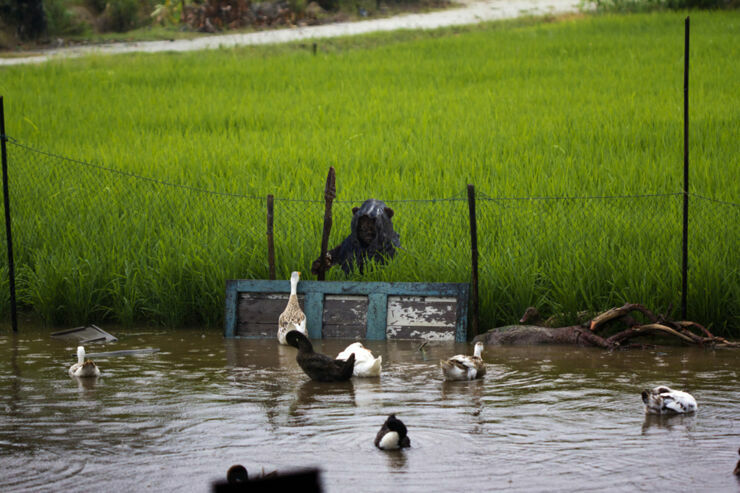 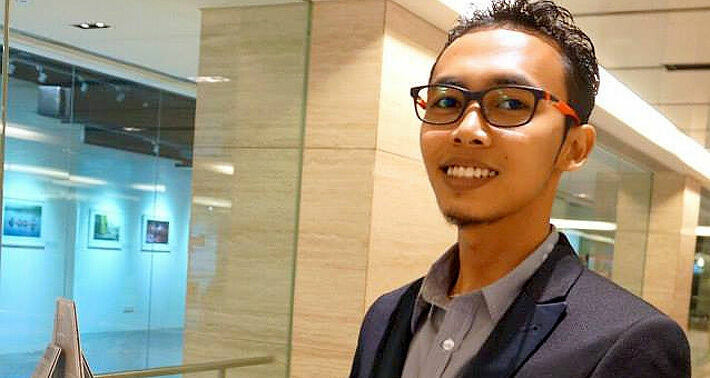 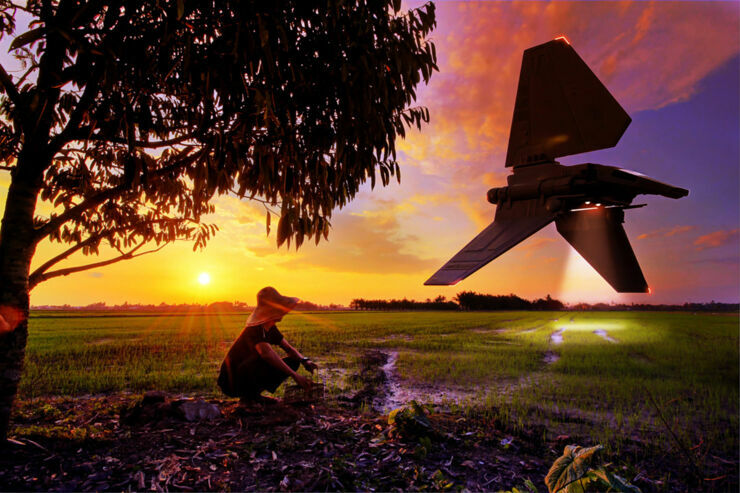 But take a trip in among the paddy fields and stagnant still waters of rural Malaysia and chances are you might come face to face with spacecraft, landers, crawlers and the fictional characters from the Star Wars films. 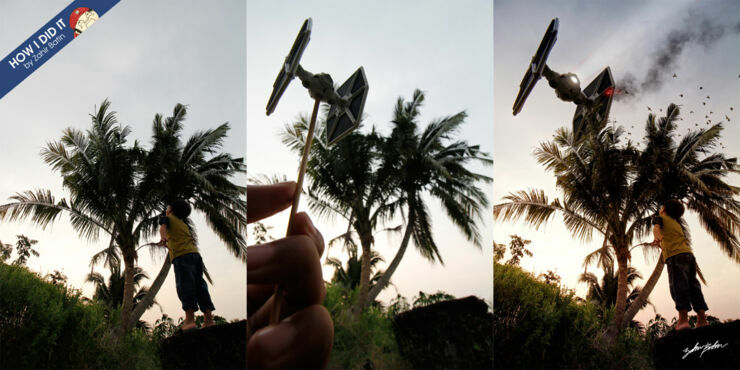 Zahir is not a person who does things by halves it seems, rather than take the easy route and digitally composite all the countryside locations with the Star Wars imagery once he was back in his studio, he incredibly managed to undertake all of the work on location, using model space ships, miniature figurines and all variety of other props to create these amazing photographs, only using a computer to put all the bits together. 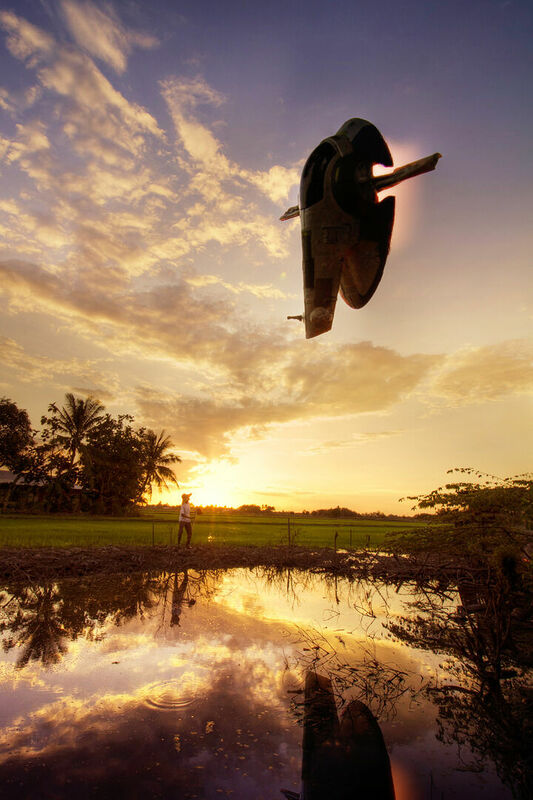 It definitely is a real labor of love, but the end result requires no translation or learning of English to fully understand the global beauty of his creations. 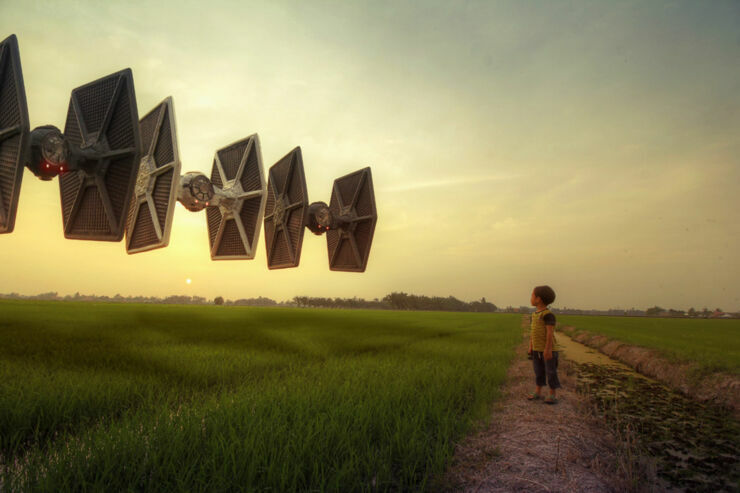 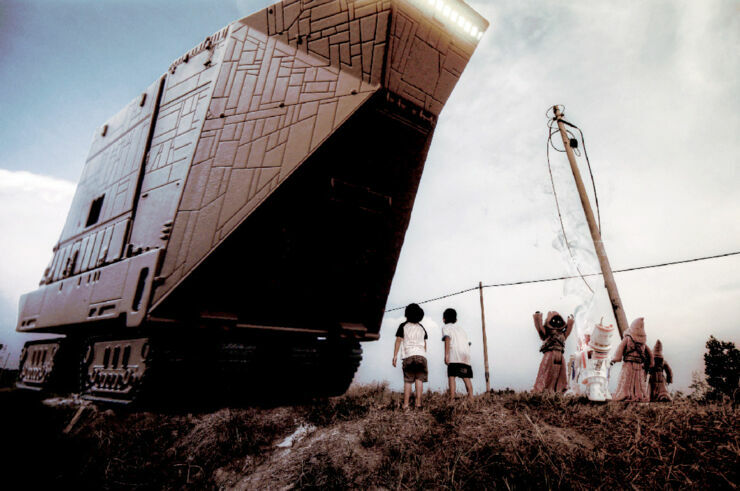 He says of his work, "I use natural lighting or ‘outdoor’ to shoot these Star Wars pictures and by doing this, a planning should be more careful especially to get natural toned lighting, such as sunset, it’s available only in a limited time. 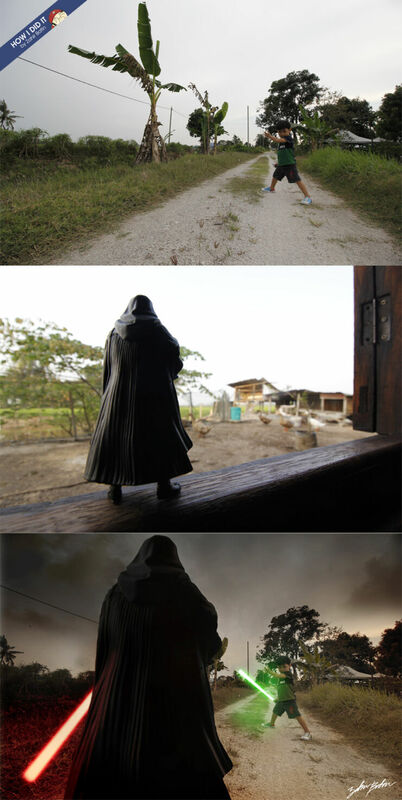 With the help of strings, wires, and twigs, which I uses to fixate the figurines." 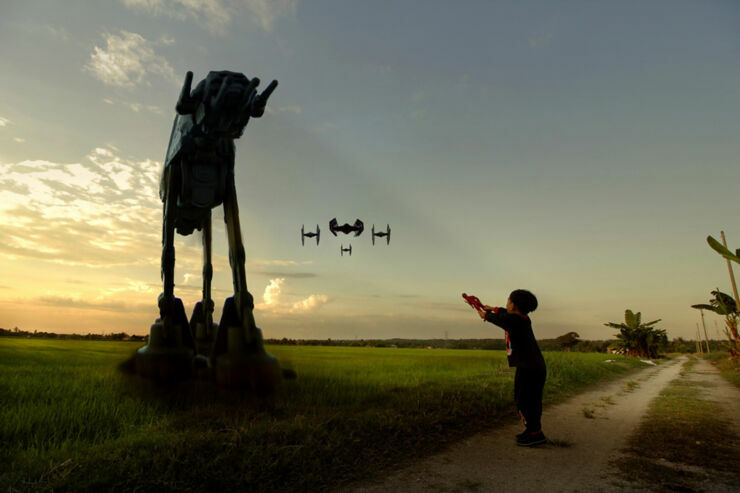 He continues, "The Star Wars pictures are then taken with my DSLR and a number of different lenses, including the “nifty fifty” 50mm f/1.8 and a 100mm f/2.8. 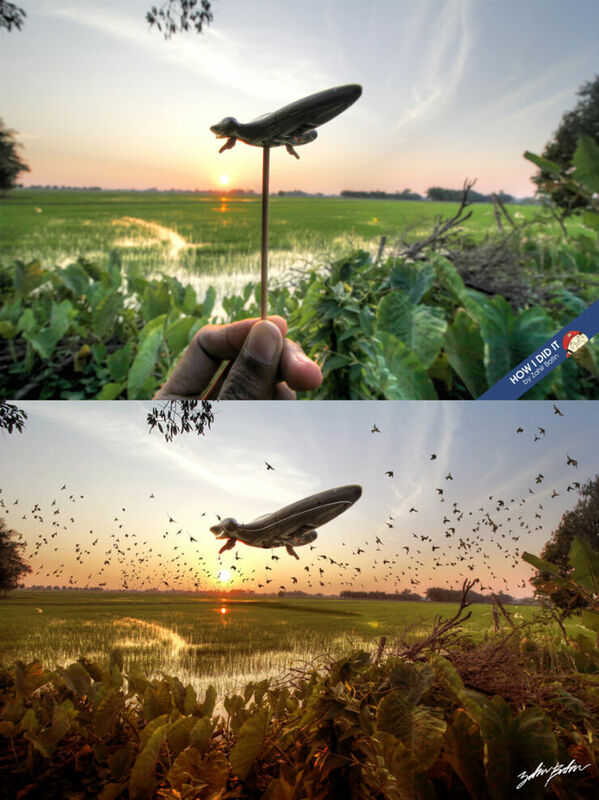 During post-processing in Photoshop, I removes the strings, wires and twigs used to set up the figurines, and creates the final images -- p/s : Sorry for my bad English.."
The results as you can see below were well worth the time spent creating them.